Glasgow Airport is the second largest of Scotland after Edinburgh Airport, although the city itself is the country’s most populous. A Glasgow Airport motorhome rental, campervan hire or RV rentals in Scotland will put you on the road to one of the most visited destinations in the British Isles and the second most-visited after the capital city, thanks to its proximity to Clyde Valley, incredible transformation over the last two decades, pounding live-music and buzzing pub scenes, top-shelf shopping opportunities, and cutting-edge architecture standing side by side with well-preserved artifacts of its layered history. Glasgow brims with cultural attractions indoors and out. 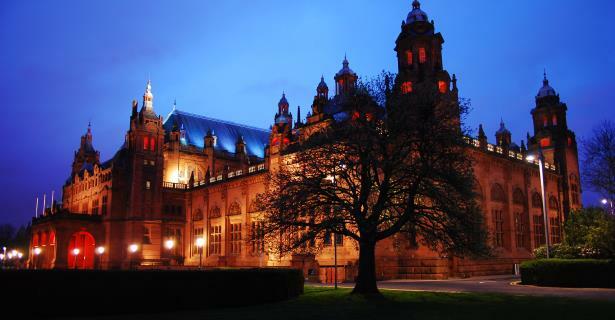 First, there is the perennially popular – and free to enter – Kelvingrove Gallery Museum which houses one of Europe’s great civic art collections. Then you have the pleasantly bustling Buchanan Street, Glasgow’s main thoroughfare, which combines up market shopping, a vibrant café atmosphere, and impressive Victorian architecture from when Glasgow was one of Great Britain’s main hubs of trans-Atlantic trade with North America. Then about 45 minutes away by Glasgow Airport campervan hire is the Stirling Castle where some of the Scotland’s monarchs, including the controversial Mary, Queen of Scots, were crowned. The castle, which sits atop an intrusive crag, overlooks a smaller hill where William Wallace staged a successful siege in the Battle of Stirling Bridge. Down the hill from the castle is Argyll’s Lodging, a nobleman’s house that was built in early 17th century by the first Earl of Stirling. From Glasgow, drive your Glasgow Airport motorhome rental north past the scenic Loch Lomond, considered by many to be the most beautiful of the Scottish lakes, to Oban which is not only the home to one of Scotland’s oldest single malt whisky distilleries but also located not far from the castles of Dunollie, the stronghold of the MacDougal Clan. Two miles away is the Dunstaffnage Castle which once belonged to the Campbells. It is when you drive farther north in your RV rentals in Scotland and then take the A82 through the glens like Glen Coe, site of the well-documented massacre of 1692, that you will truly appreciate starting your vacation in your campervan hire or motorhome rental because the scenic beauty of these glens can rarely be matched anywhere else in the world. Just to the north of Glen Coe is the history-filled town of Fort William, named after William of Orange and a town that featured as a fortress for Oliver Cromwell’s men during the English civil war and then later was under siege for two weeks during the Jacobite uprisings. Continuing north in your RV rentals, you pass along the Great Glen which once again offers some spectacular scenery including Ben Nevis, the highest of Scotland’s mountains. Perhaps stop off to talk with some of the campers at Loch Ness to see if the monster has been spotted recently. At the end of the glen you will reach Inverness, the most northerly of Britain’s cities and known as the capital of the highlands. Returning south through the Grampian Mountains in your Glasgow Airport motorhome rental, you will reach Pitlochry, made famous by a visit by Queen Victoria in 1842. This town is now used as the centre for hill walkers to start their treks. If you still have the time, visit Bannockburn near Sterling, the site of one of Scotland’s greatest battles against the English that was led by Robert the Bruce 700 years ago.